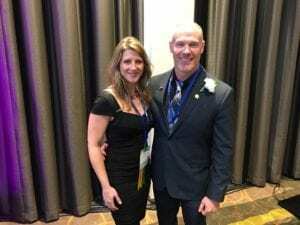 The National Association of Home Builders last night honored 12 individuals who have excelled in teaching NAHB education courses and for their professionalism as NAHB educational designation holders as the Educators and Designees of the Year. The awards were given during the 2017 International Builders‘ Show® held this week in Orlando, Fla.
Certified Green Professional™ (CGP) of the Year. 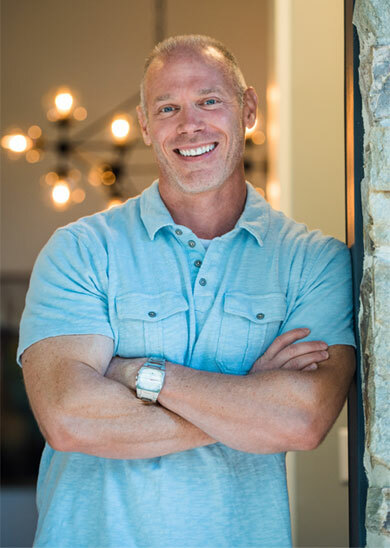 Sean D. Sullivan, CAPS, CGP, owner of Living Stone Construction Inc. in Asheville, N.C., specializes in green design-build and renovation as well as aging-in-place applications. He is active with the North Carolina Home Builders Association, where he has served as president and chaired the Political Action Committee. NAHB recognized his firm’s work with Best in American Living Awards in 2013 and 2015. “NAHB strives to improve professionalism among our members and elevate the industry through education. We strongly encourage builders, remodelers and other housing professionals to reach the next stage in their careers by earning an NAHB designation,” said Shaw. Black Mountain, NC, Living Stone Design + Build project, “Rhodo Reno”, is the overall winner for the Best Renovation in the 2017 National Green Building Awards by the National Association of Home Builders (NAHB). The Green Project Awards highlight those projects showcasing outstanding application of green techniques and technologies in single-family homes. All projects are scored to the ICC 700 National Green Building Standard to establish the relative sustainability of each, and then judged on other merits such as green innovation and design. Award winners were announced during the annual NAHB International Builders’ Show in Las Vegas in February 2014. 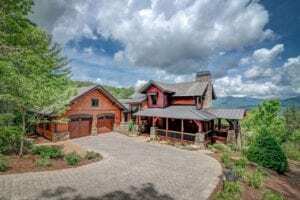 Asheville, NC January –A local builder has won a gold award for the One-of-a-Kind Custom Home (2501-3500hsf) category in the 2016 Best in American Living™ Awards (BALA) by the National Association of Home Builders (NAHB). The Watkins residence (Swannanoa NC) was a collaborative team effort designed by Vinyet Architecture and built by Living Stone Design + Build. The interiors were designed by ID.ology Interiors & Design. The landscaping was created and installed by Gardens for Living. “The objectives were simple” says Sean Sullivan of Living Stone Design + Build. First we had to design a home with clean lines that came from natural mountain materials. Next, like all of our homes, we had to make it super energy efficient. Our last objective was to create an amazing outdoor living space while maximizing views. The biggest challenge was designing+building in this new style that reflected the clients taste. The objectives were met by utilizing our processes with our design team at ID.ology. The result was a beautifully designed home. The home was certified Green, and super energy efficient, with its geothermal and radiant floor heating systems. And lastly, we created an incredible outdoor living space off the back that includes a pool, pool cabana and firepit, all without interrupting the views. Now in its 33rd year, BALA recognizes outstanding achievement by builders and design professionals in all sectors of the residential housing industry including single-family production, custom, rental, affordable, interiors, remodeling, community and international, based on the principle that good design is not, and should not be, limited to high-priced and/or custom homes. 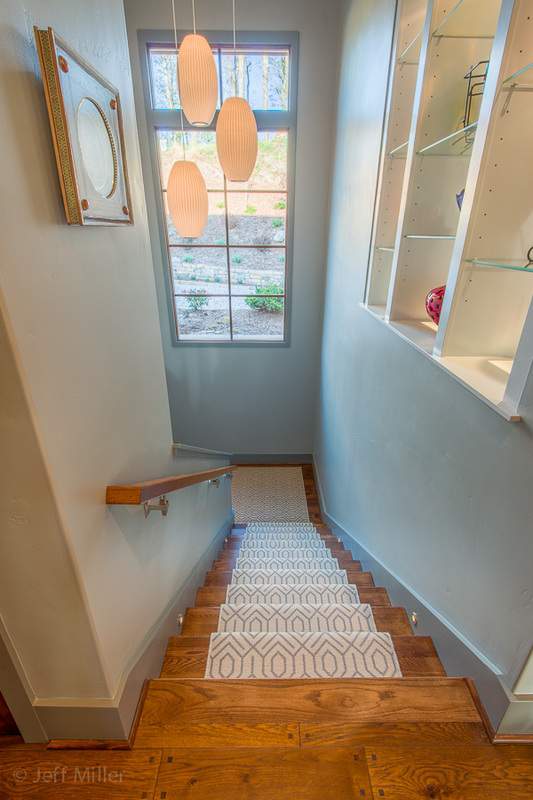 Even the simplest, most affordable homes can receive an award if they showcase good design. Award winners were announced during the annual NAHB International Builders’ Show in Orlando, Fla.
Additional Information about the BALA program can be found at bestinamericanliving.com, including the 2016 BALA Portfolio, featuring a review of design trends and project photographs. Living Stone crafts award-winning custom homes that exceed client expectations. Their proven process and strategic partnerships with architects, designers and realtors delivers happier, healthier homes to those seeking their dream life in the mountains. Living Stone Construction’s most recent project has been the renovation of a 110-year-old farmhouse, which perfectly demonstrates the principles behind the Living Stone Difference. We have brought this home into the modern century and tripled its size, whilst retaining as much of the original house as possible. This was very important to our clients, and we made sure that they were included throughout the entire design process. We really managed to infuse the old with the new on this project, by updating older elements of the house but managing to keep the appearance like that of a 1900s farm house. As the wife’s family were part Swiss, she was keen to add elements that reflected this into the build; we were happy to accommodate this, and have even included an exterior Swiss oven, much to her delight. We are proud of our client inclusive process, and that it is so different from the old process which involved all parts of the build being undertaken separately which often lead to poor communication. Instead, we sought out people who wanted to partner with us on a regular basis, and brought them to the table to assemble a team for each set of our clients based on their needs and wants. We knew our clients deserved better than the old process, and this is what makes the Living Stone difference. At Living Stone Construction, we strongly believe that if a home is going to be built, it should be done right. It should not only be beautiful and built using high quality materials, but should also be designed deliberately, making effective use of the space available. We also believe that all homes should be as energy efficient as possible; this doesn’t mean that you have to spend lots of money on renewables or extras, but it does mean doing the basics right. Our homes are about 50% more efficient than code, as a standard. We have a third party energy rater engaged on every project who works on computer modelling and efficiency design, and who tests and certifies our projects at the end. This not only brings an immediate return on the investment for our clients, it helps improve their overall health. We look forward to partnering with our clients to build happier, healthier lives well into the future. On January 20th, 2016 Living Stone Construction will be presented a BALA Award (Best in American Living) for “One-of-a-Kind Custom or Spec Home, 2501-3000 sq. ft.” for the Pritchard Hardin Residence, which will take place this week at the NAHB International Builders Show in Las Vegas, Nevada. 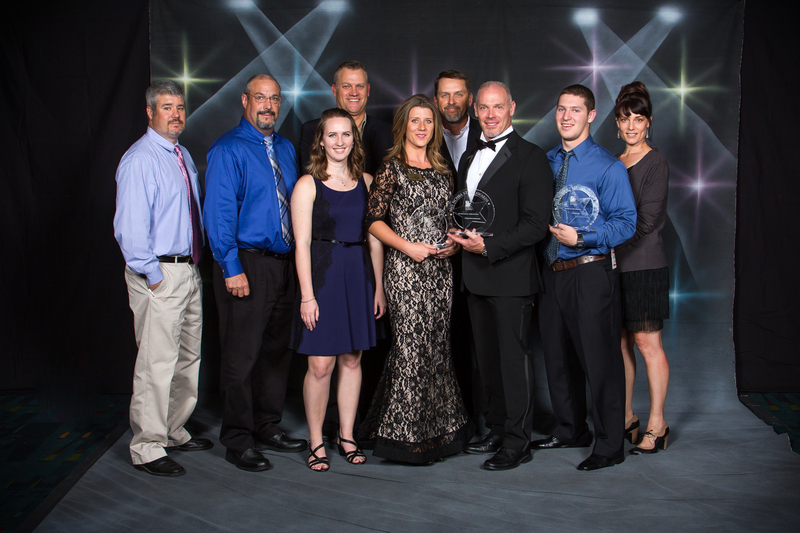 Living Stone has won many awards on both the state and local levels however, this BALA award is the company’s second national honor. Now in its 32th year, BALA recognizes outstanding achievement by builders and design professionals in all sectors of the residential housing industry including single-family production, custom, rental, affordable, interiors, remodeling, community and international, based on the principle that good design is not, and should not be, limited to high-priced and/or custom homes. Even the simplest, most affordable homes can receive an award if they showcase good design. Living Stone Construction has been a local builder in Black Mountain for 20 years. 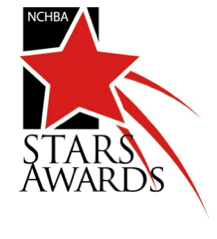 Stars Awards Gala in Charlotte, celebrating the best in the state in the Home Building Industry, through the NCHBA – Living Stone Construction Inc. and ID.ology Interior Design teams! Living Stone won Best Advertisement, Best Logo and Best Single Family Home with a Price point of $250k-$500k. Sean Sullivan’s theme was “iron sharpens iron”. 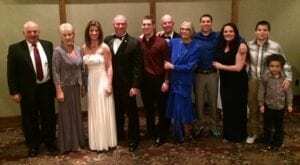 He carried this message in his travels to every corner of the state during his tenure as 2015 President of the North Carolina Home Builders Association (NCHBA). Like iron sharpening iron, Sean strongly believes in the value that NCHBA imparts to its members, both professionally and personally, arises from active participation in the multitude of opportunities that the association offers. This belief is firmly grounded in his personal experience as a member and he freely shares his story both to educate and motivate others. Sean first became exposed to NCHBA during his tenure on the leadership ladder of his local association in Asheville. He quickly recognized the value that NCHBA brought to his business not only from formal educational opportunities but also from informal networking with other builders who weren’t directly competing with his business. Sean recounted on many occasions how his business volume dramatically increased, and continues to do so, as he put into practice those things he learned by and through his NCHBA involvement. By utilizing his own story as an example, he urged others to become involved—and many have followed his lead. During 2015, Sean expertly juggled the responsibilities of his rapidly growing business with the duties of NCHBA President and made both a success. He was significantly aided in achieving this result by his delightful wife, Laura, who is a talented design professional in her own right. In addition to Laura’s support, he has a great employee team which he nurtures by exposing them to NCHBA events like the 21st Century Building Expo and Conference. He also received solid support from his excellent Senior Officer team which Sean would be the first to credit with helping him cover the bases. In a word, Sean’s objective during his tenure was “empowerment”. His focus was on empowering members, local associations and executive officers with the tools they need to be successful. Exposing our grassroots members to the many tools that NCHBA provides is the first step in this educational process. This focus was on display during the regional meetings held across the state in early February. The next step was to get these members involved by attending our quarterly meetings, participating in our committees, and taking advantage of NCHBA events and educational opportunities. The numbers proved Sean’s mission was successful as attendance and participation increased at all NCHBA events during the year, especially at the quarterly meetings and the 21st Century Expo. •	NCHBA concluded perhaps its most successful legislative session in its history. The General Assembly enacted, and the Governor signed into law, virtually all of NCHBA’s pro-active agenda including some legislation which NCHBA has sought for decades. Highlights include banning local government regulation of aesthetics; exempting taxes on improvements to land and single family and duplex structures constructed and offered for sale; repeal of municipal protest petition authority; enactment of a sweeping building code regulatory reform bill; and significant land use and environmental reforms. •	During 2015, membership numbers remained fairly level preserving NCHBA’s position as the largest state association in the NAHB federation. Two additional local HBA consolidations occurred during the year with the mergers of the Cabarrus Co. HBA with the Charlotte HBA and the Allegany Co. HBA with the Ashe County HBA. •	Created the “Home Builders Education Fund, Inc.” which is a Section 527 entity for NCHBA advocacy purposes to assist in the election of pro-housing officials. This entity will supplement NCHBA’s political action committee (BUILD-PAC) in achieving this objective. To help fund this entity, a $10 increase in state dues for builder and associate members was unanimously adopted by the NCHBA Board of Directors in September. •	Creation of NCHBA’s newest council, the Volume Builders Council, composed of national and regional production builders, all of whom pay a special dues assessment for council membership. This council will have a voice in the formulation of association advocacy policy. •	Attendance was up at the 13th edition of the 21st Century Building Expo & Conference as well as the number of vendors who exhibited. This year’s show saw the introduction of an exciting new show feature—the “Design House”—which Sean and Laura were instrumental in creating and implementing. This venue on the show floor featured the opportunity for builders to have their house plans reviewed by design professionals as well as featuring a luncheon and informative speakers. Based on this year’s successful debut, the “Design House” will return in 2016. •	Continued NCHBA strong commitment to professionalism and education, which is one of Sean’s passions, through the work of the NC Builders’ Institute; maintained support for vocational career educational opportunities; and awarded, via the NCHBA Educational & Charitable Foundation, four (4) college scholarships to children of members majoring in residential construction related careers. •	Continued to implement the three-year NCHBA Strategic Plan, adopted in 2013; strengthened the role and accountability of our regional vice presidents as a vital link between NCHBA and our local membership; maintained NCHBA’s strong financial footing by recording a solid 2015 operating revenue profit which thereby increased NCHBA’s net assets to a record level. •	Both personally and through this leadership team and other members continued NCHBA’s strong record of involvement in the activities of NAHB as expected of an association which comprises almost 10% of the membership of NAHB. While the foregoing highlights are all tangible, perhaps Sean’s greatest legacy will prove to be the intangible benefits he so freely bestowed on all those he comes into contact with. His unfailing graciousness, friendly demeanor and solid business record of achievement motivates others to emulate his actions. We are all moved by contact with someone whose beliefs and actions inspire us. Like iron sharpening iron, Sean’s tenure will be long remembered for those qualities as well as his year of extraordinary achievement. On behalf of the NCHBA staff, the NCHBA Executive Committee and the entire membership, we salute you, Sean, for a job well done! 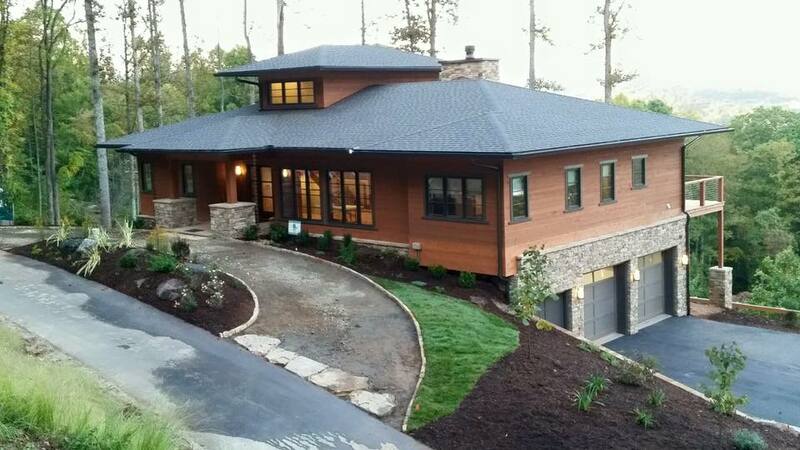 Living Stone is thrilled to present 2 recently finished homes in this year’s Asheville Parade of Homes! 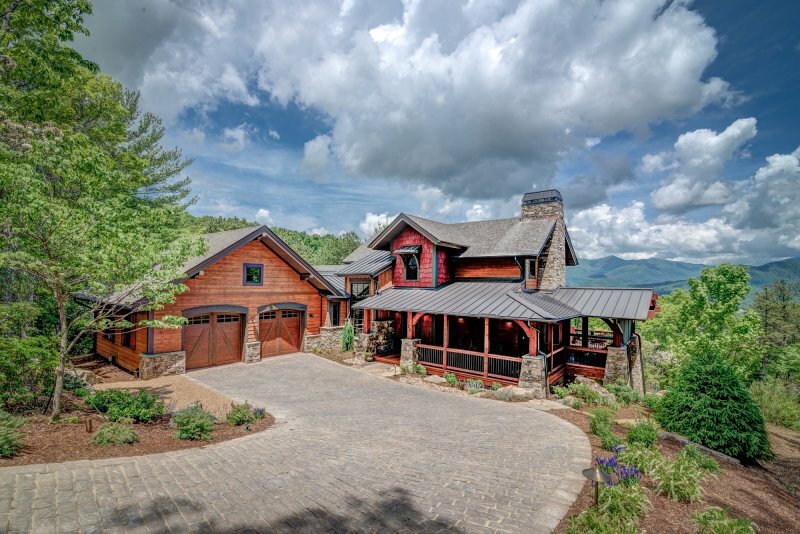 This custom design-build home is located in the mountainous setting of western North Carolina. One challenge with the home was incorporating a blend of arts-and-crafts style with a dash of contemporary to maximize and capture not only the view, but illuminate the interior with natural light. Interior designer Laura Kirkpatrick Sullivan, with ID.ology Interior Design, understood these needs and made sure the space was tailored to this desired feel and flow. Laura and her team were awarded the Best Interior Merchandising Award by NCHBA for their work on this project. Another challenge this project faced was the steep grade of the site itself, which is typical of the region. Sean Sullivan, builder-president of Living Stone, was able to overcome this obstacle with great success. With his experience as an award-winning homebuilder and as 2015 president of the North Carolina Homebuilders Association, Sean and his team found the perfect layout to acclimate with the surroundings. This beautiful custom home has received a lot of attention and won the 2014 NCHBA Stars Awards for Best Outdoor Living Area, along with Best Single Family Detached Home within its category. Light, light and more light. The homeowners are avid outdoor enthusiasts and wanted to make the outdoors a part of their new home. From early sight planning to design and product choices, the team at Living Stone applied every resource to maintain natural light and appeal on all sides…not just the elevation view toward Mount Mitchell. “Windsor’s Pinnacle wood clad product line gave us so many design options: casement, awning and direct sets with deep sash reveal; 9′ tall sliding doors with all wood interior allowed for no unsightly screws or vinyl; and Low-E rain glass, instead of obscure, for privacy with class and performance. Our design team carefully selected a mix of Pinnacle products to achieve striking visual architecture without distracting from the outdoor visuals. As our distributor, Thompson Windows are true millwork pros. They understand our design needs quickly and offer creative solutions. Click here to see more pictures of this home! We love the Houzz website which is geared for people looking to build a new construction home, remodel an existing home, or for decorating inspiration for their current home. We introduce all of our clients to Houzz so they can begin building an “ideabook” for their project. “Ideabooks” help us as we work in design and throughout the project to get a feel of the clients’ tastes and preferences. 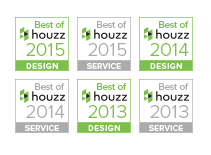 Living Stone has been awarded “Best in Houzz for design AND service for the last 3 years. We have also received 26 reviews through this site. Empowerment. That’s what incoming-NCHBA President Sean Sullivan says is going to be a hallmark of his term in 2015. He wants to empower members, local associations and executive officers with the tools they need to continue to keep North Carolina the #1 state in our federation. North Carolina makes up about 10 percent of the National Association of Home Builders membership, so our state plays a critical and powerful role there. However, Sullivan says he thinks our NCHBA membership is somewhat lethargic, and he wants to reinvigorate the membership in 2015. Sullivan said he’s noticed over the last two years as a Senior Officer that many associations are struggling with volunteers for their boards/ committees, NC BUILD-PAC fundraising, and attendance at state and national meetings. 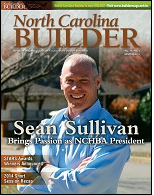 Sullivan was first introduced to the NCHBA when he served as President of the Asheville Home Builders Association in 2008. He enjoyed getting involved and so he continued to attend meetings after his term was over. “I saw a lot of benefit in networking with other professionals that weren’t directly competing with my business,” he said. He then served as Region 10 Vice President for two years and expressed an interest in becoming a Senior Officer. Sullivan says he’s excited about his role in an industry that has provided him with so much over the past 20 years. His interest in building started at an early age when he tinkered in his father’s home workshop, which moved with the family every time they went to a new city in his father’s U. S. Marine Corps career. Later he developed a particular interest in residential construction after participating in service projects with Habitat for Humanity while majoring in Business Management with an emphasis in Leadership and Marketing at Roger Williams University in Rhode Island. After graduating from college, Sullivan decided to move to Asheville, North Carolina, where he has now lived for 20 years. He took a job working with a high-end custom builder in the area, starting out in the field as a carpenter and eventually moving in to the office, working to generate sales leads. Unfortunately, Sullivan and the rest of the staff were laid off at the threat of the owner going out of business. While unfortunate, that proved to be a turning point. Sullivan immediately went to work hanging siding the very same day and started taking various subcontractor positions with a friend. They started their own business in 1995 and became fully licensed for custom building in 2001. He joined the Asheville Home Builders Association in 1997. 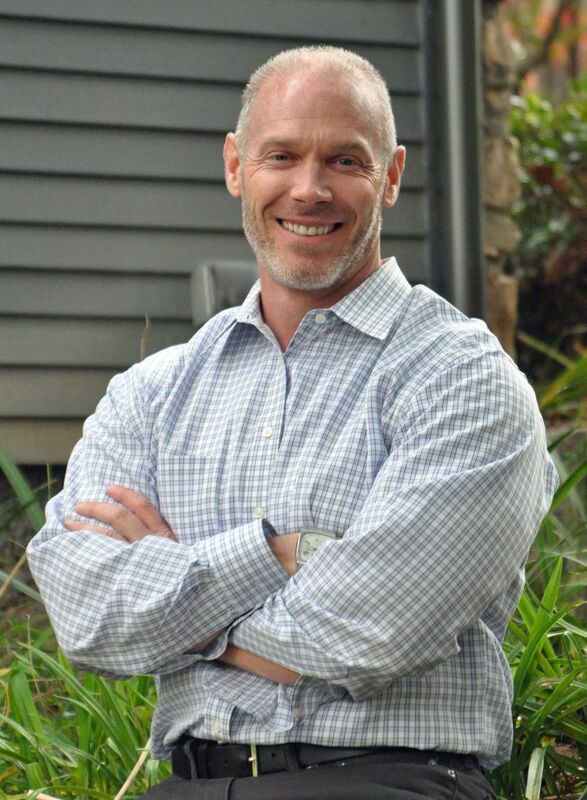 Throughout the years, he’s taken advantage of the many networking and educational benefits available to members, including earning several professional designations, both through NCHBA’s North Carolina Builder Institute program and NAHB Education. Sullivan is an Accredited Master Builder, Certified Green Professional and Certified Aging-in-Place Specialist. Sullivan said he doesn’t think enough builders take advantage of the competitive edge and marketing capabilities that come with having a professional designation. He plans to emphasize that more as he visits local associations this year. During the weekends of October 10-11 and October 17-18, the Asheville Home Builders Association (AHBA) held its Annual Parade of Homes (POH). Every year builders all across the Asheville area show off recently constructed homes in a variety of developments and other communities for the general public to tour and enjoy. Both weekends were a great success and approximately 1000 people toured the home. Living Stone’s parade home was The Strittmatter’s home, which is based on their Skylar Grande semi-custom model. In between the aforementioned weekends, the AHBA holds an awards ceremony to recognize and present builders awards in a variety of different categories. Living Stone Construction capped off a fantastic evening by winning the coveted Viewers Choice Award, the Green Certification award (NC Green Built Gold) and the silver craftsmanship award for it’s category. 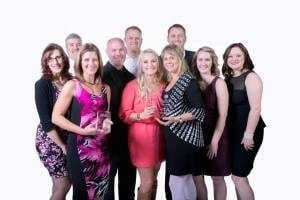 Living Stone also won a PACE award for Best Public Relations Event for the Ricky Harwood Fundraiser. 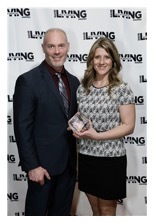 ID.ology Interior Design, Living Stone’s design partner, won a PACE award for Best Interior Merchandising for Dana and Cherrie Roberts’ Timberpeg home Living Stone built. Designed by architect Maury Hurt to occupy the footprint of an existing A-frame, this serene lakeside home maximizes its location and boasts many vernacular exterior finishes including stone, cedar shake and pebble dash stucco. Green built and Energy Star efficient, the home earned regional and national awards for the builder, Living Stone Construction, and a state-level award for the interior designers, Allard & Roberts. Adiscreet sign at the front entrance reads “Sanctuary.” Fair enough. You’ve navigated some narrow country roads and come down a steep driveway to get here. The cedar shake and stone house is tucked into a wooded lot, perched on the hillside beside Lake Lure. A mountain retreat — a lake house…it makes sense. But then you walk through the stone portal and enter the great room. Before you, a massive arched wall of windows captures a stunning view: the vast sky, the distant, craggy face of a mountain and the sparkling waters of the lake. It is breathtaking. Suddenly the rest of the world slips away and you understand. Continuing education and earning designations is very important to the team at Living Stone Construction. Sean is one of a very few Accredited Master Builders in WNC. He is also a Certified Green Professional, a Certified Aging in Place Specialist as well as a Certified Lead Renovator. Quality workmanship, knowledge and experience matter, especially when you will be investing a significant amount of money with a home builder or remodeler as you build a new home or update your current one to fit your lifestyle. As the more than 140,000 members of the National Association of Home Builders celebrate National Designation Month in March, here are just a few of the reasons why you should choose a designated professional builder or remodeler for your next home build or major renovation project. NAHB’s targeted curriculum and accomplished teachers help home builders and remodelers learn new laws, methods and materials in order to offer the best level of service to their clients. Over the last twenty years, Living Stone Construction has set themselves apart by exceeding expectations. By utilizing a special team approach to Design+Build, we deliver ultimate performance, quality, and value. As only one of a few accredited master builders in the state, LSC is also an Energy Star partner, Certified Green Professional, and Aging-In-Place specialist. No matter what type of project you have, we design, and build, to meet your budget. Call us today 828.669.4343 for a free consultation to see how our team works to make your dreams come true. 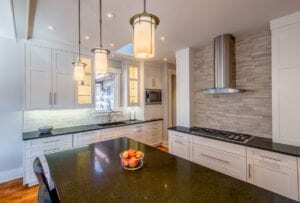 Living Stone is a Green builder of fine custom, and semi-custom, homes. We offer turn-key services to bring complete value to the client and make the building process enjoyable. Much like sustainability in building, our “Living Stone Difference” process is sustainable. When you work with us, we can help you find land, design your home, build your home (or renovation), prescribe finishes, provide financing, and deliver a home warranty. “Green” building differentiates itself from traditional building by using a different frame of thought. Green building starts in the planning stages of the project and it never ends, it becomes an extension of philosophy when the clients move in. Green building considers IAQ (Indoor Air Quality), using locally made products/services, and reducing/eliminating unnecessary waste. Statistics show that “Green” homes sell faster and for more money that “Non-green” homes and that people who live in a “Green” home are happier, healthier, and more productive than those that don’t. Being part of a great team can yield wonderful results. 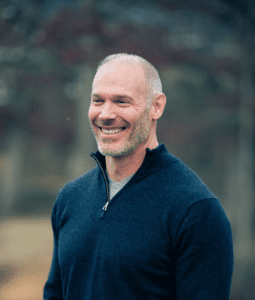 No one knows this better than Sean Sullivan, owner of Living Stone Construction, and Laura Sullivan, owner of ID.ology Interior Design, both located in the Asheville area. Not only do Sean and Laura sometimes work together on the same projects – they’re a team off the job site, as well. This happily married couple has managed to strike a great balance that has led to exceptional accomplishments. 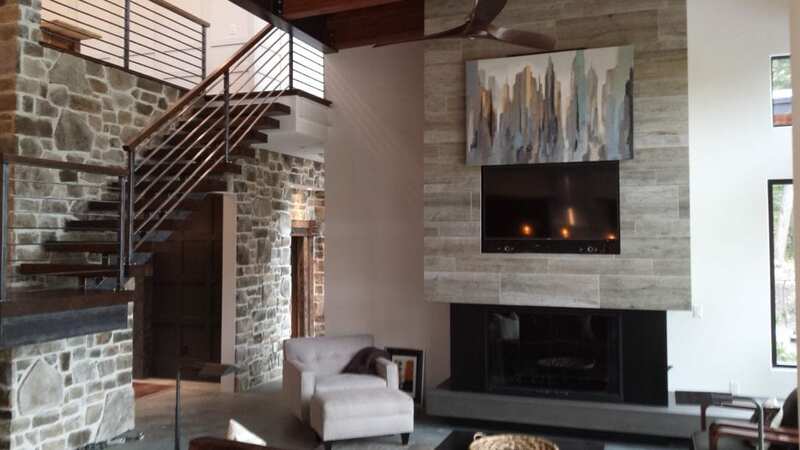 One such accomplishment is The Rockcliff home – an award-winning Asheville project on which Living Stone Construction served as the builder and ID.ology served as the interior design firm. North Carolina Design talked to Sean and Laura to find out more about this spectacular home, and how their solid teamwork helped them achieve award-winning results. 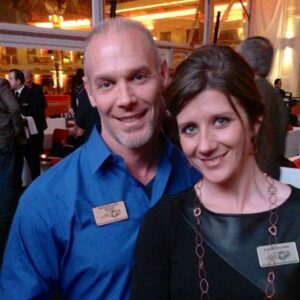 When it comes to The Rockcliff, Sean and Laura were both winners. 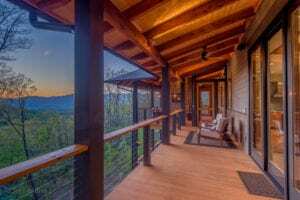 ID.ology won the Asheville HBA PACE Award for Best Interior Merchandising, while Living Stone Construction won the Asheville HBA Gold Craftsmanship Award, as well as a NCHBA STARS award for Best Single Family Home in its price range. In addition, Living Stone’s architect partner, Retro+Fit Design won the Asheville HBA PACE Award for best plan design for The Rockcliff.